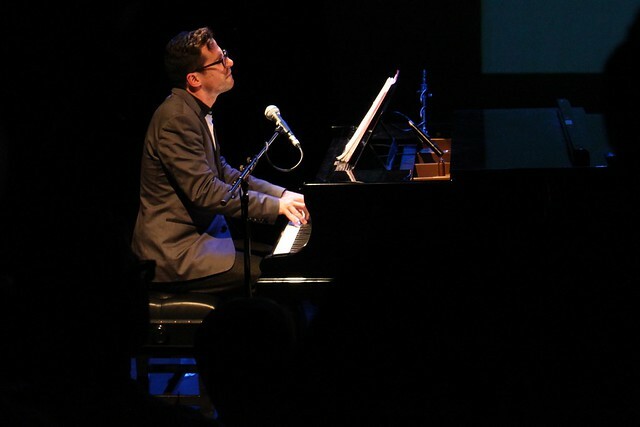 Richard Thomas (Writer/Composer of Jerry Springer The Opera) fresh from his Royal Opera House smash, Anna Nicole and West End dance spectacular, Shoes, presents WRONG SONGS FOR SUMMER. Evan has directed Avenue Q (UK and US tours), RENT (US tours, Montreal and Far East), Out of the Reach of Children (NYC and LA), Simone at Town Hall, and Womyn in Three (NYC). Associate Director: Shrek – the Musical (Broadway and US Tour) Avenue Q (Broadway, U.S. tour and London), RENT (Broadway), Les Misérables (US tour) among others. Tim’s credits include: Shoes at Sadler’ s Wells Stu Clutterbuck in Tonight’s the Night Victoria Palace, Ozzie in On the Town E.N.O. Coliseum, Michael in Peggy Sue Got Married Shaftsbury, Houdini in Ragtime Cardiff International Theatre Festival and as a soloist for the Halle orchestra, the London Philharmonic, and numerous European Orchestras. Broadway/North American credits include Joseph, Baby, Miss Saigon, Les Misérables and Rent (Broadway). Anna Nicole Royal Opera House. Shoes Sadler’s Wells. West End: Jerry Springer- the Opera National Theatre. Sydney Opera House. Carnegie Hall. West End. BBC 2. Catford. Kombat Operas. Five, half hour musicals for BBC2. Won loads of badly-made metal alloy awards. After gaining a first class degree in Theatre Arts at Bretton Hall, and with very little planned for the future, Alethea stayed on for another a year to do an MA in Creative Writing. She then spent a decade holding down a variety of minimum wage jobs. During this time Richard Thomas met her in a pub. She made him laugh. They became friends. One day he dropped by and asked if she would script edit his BBC2 series, Kombat Opera, which she did. Then she script edited his libretto Anna Nicole for the Royal Opera House (2011). Then she was commissioned to write some songs for Shoes at The Sadlers Wells (2011). When that finished she wrote some songs for this evening of Wrong Songs at The Print Room. She and Richard are also planning a large choral stage work, Carmina Las Vegas. She is currently writing her first novel; The Hather House whilst also working with award winning documentary film-maker Angus Hubbard on a new project called Epiphany. Is 18 years old and interning for Richard Thomas. She has also worked for ISO productions, PR firm communication store during LFW. She likes cycling and laughing and making cakes!